It's a whole new year, and to celebrate I created this desktop wallpaper calendar featuring my Winter Wolves illustration. 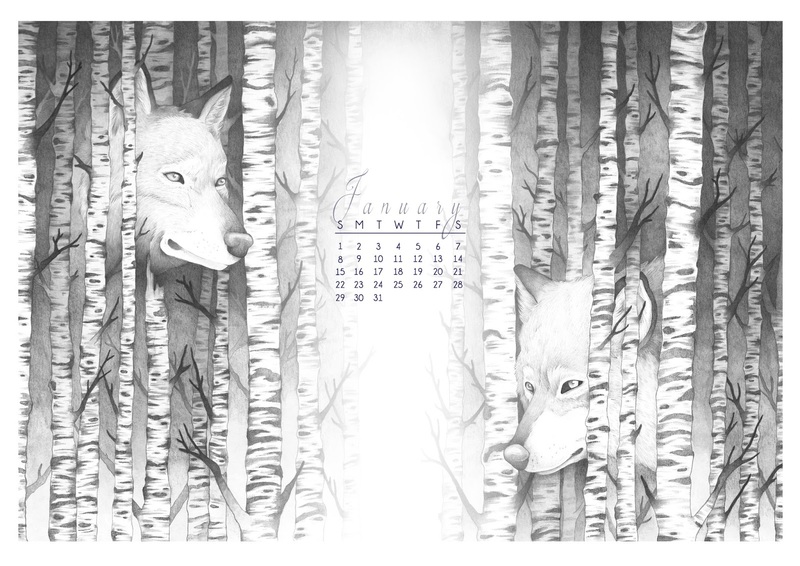 January is the month of the wolf, the Saxon term Wulf-monath (meaning "wolf month") and also named for the ancient Roman god Janus, who represents beginnings and endings. He is often depicted with two faces, one looking forward and one looking back. I chose to combine these two elements into this illustration for this the most wintry month of the year.